Many color variants for the regular & damaged Hazmat Suit. Contains 10 Black color variants for the regular & damaged Hazmat Suit. Contains 10 White color variants for the regular & damaged Hazmat Suit. 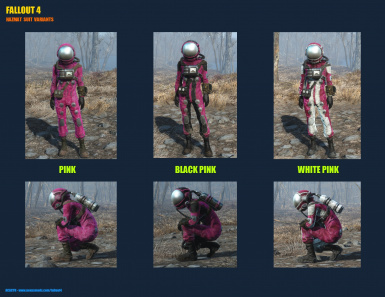 Contains 3 Pink color variants for the regular & damaged Hazmat Suit. 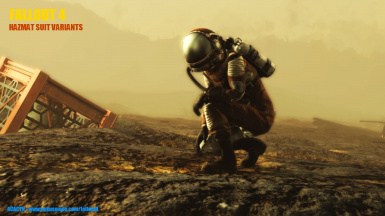 - You can choose only one texture variant at a time since it replaces the original textures for the regular & damaged Hazmat Suits.